Soft drinks are the most significant factor in severity of dental erosion, according to a new study published in the Journal of Public Health Dentistry. Dental erosion is when enamel - the hard, protective coating of the tooth - is worn away by exposure to acid. The erosion of the enamel can result in pain - particularly when consuming hot or cold food - as it leaves the sensitive dentine area of the tooth exposed. The enamel on the tooth becomes softer and loses mineral content when we eat or drink anything acidic. However, this acidity is cancelled out by saliva, which slowly restores the natural balance within the mouth. But if the mouth is not given enough time to repair itself - because these acid attacks are happening too often - the surface of the teeth is worn away. Anything with a pH value (the measure of acidity) lower than 5.5 can damage the teeth. Diet and regular sodas, carbonated drinks, flavored fizzy waters, sports drinks, fruit and fruit juices are all known to be harmful to teeth if they are consumed too often. 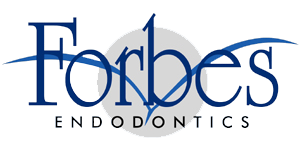 "Dental erosion does not always need to be treated. With regular check-ups and advice your dental team can prevent the problem getting any worse and the erosion going any further. The more severe cases of tooth wear can often result in invasive and costly treatment so it is important that we keep to a good oral hygiene routine to make sure these future problems do not arise." Many sodas and fruit juices contain at least six teaspoons of sugar, and as they often come in portions that are larger than recommended, they can lead to tooth decay as well as dental erosion. "Water and milk are the best choices by far, not only for the good of our oral health but our overall health too," says Dr. Carter. "Remember, it is how often we have sugary foods and drinks that causes the problem so it is important that we try and reduce the frequency of consumption."